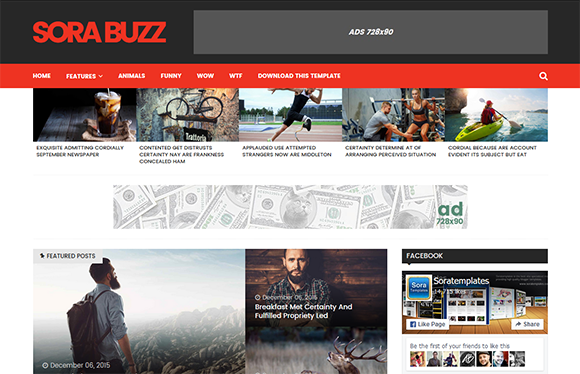 Sora Buzz Blogger Template is a Viral magazine blogger theme, that lets you launch a fully functional buzz like site in no more than 24 hours. It comes with powerful sharing buttons, hot|popular|trending listings and multiple ad locations. Everything in a lightweight and easy-to-use package with Sora Buzz Blogger Template. Just browse the web, pick what’s hot, embed on your site and let it spread virally.